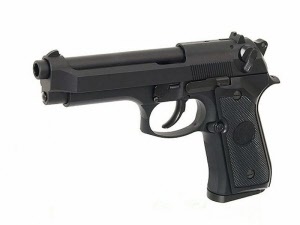 Airsoft Pistols & Handguns.Gas Blow back, Non-Blow back, black and coloured. We sell the best models that work. We have pistols from very low price for a starter to more advance guns for the serious air-softer. We aim to give value for money on all our pistols. Come into our store in Glasgow and see what we have to offer and see our range. All our guns are from the most reliable sources. We have pistols to suit your pocket. All our pistols have been tested and tried over a period of time to make sure they are what is required for your pleasure. Come in and get good advice from our experienced staff. WE-Tech has been a leading maker of airsoft kit since the early 1982. In 2004 they came into the gas blow back field and has been successful since then. This company is always at the fore front in innovating with new realistic designs from new to old classic tried and tested models. Here at our airsoft uk shop we try to keep abreast with the latest designs. This includes gun parts AEG airsoft electric guns WE Tech is famous for it attention to detail. If you're a a airsoft collector or gamer then you will have heard of Toko Marui guns as the were one of the first if not the first with gas blow back guns for airsoft guns. Each weapon is made with great skill and care and you can be assured that you are going to get fine weapon. 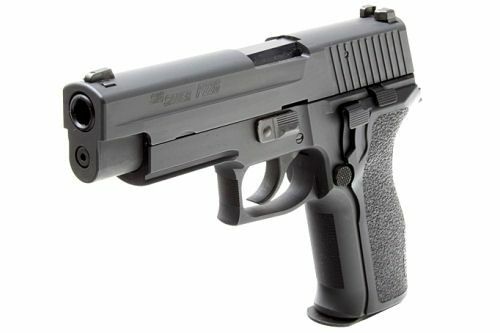 The pistols are made out of metal and give the real steel affect and adds to your fun. ASG is a leader in the airsoft business with Co2 ,gas blow and non blow back versions. There are great in 1:1 scale replica guns and accessories. They are an international company countries all over the world and the man headquarters is in Denmark. They have many licenses and great designs of their own. They now can design and manufacture tier own pieces and such as the Scorpion brand. They have many top class automatic pistols in their collection and we at Adventure1 Airsoft UK are proud to stock these. It is our aim to deliver quality products and services that give our customers quality and reliability. The buyers are offered an exciting array popular pistols at a good price.